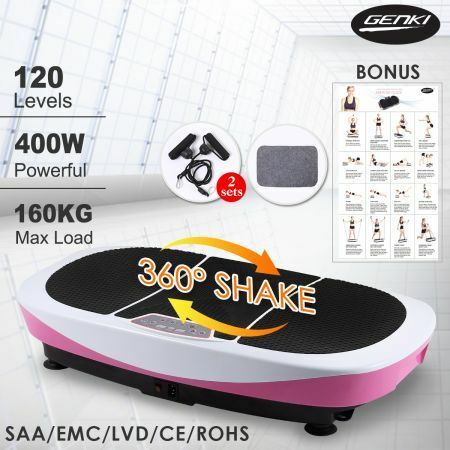 If you're looking for a great way to get your body in shape with little effort in the comfort of your own home, then this 360° 3D Shake Ultra Slim Body Vibration Plate Machine-Two Motor is perfect for you. This portable vibration platform machine burns fat and tones and tightens skin - Because of increased metabolism. The vibrations reshape the body in the hip, waist and abdomen. You can increase muscle tone, strength, circulation and flexibility in just 10 minutes a day, 3 times a week. 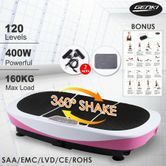 Kick your workout into high gear and order your 360° 3D Shake Ultra Slim Body Vibration Plate Machine-Two Motor today!